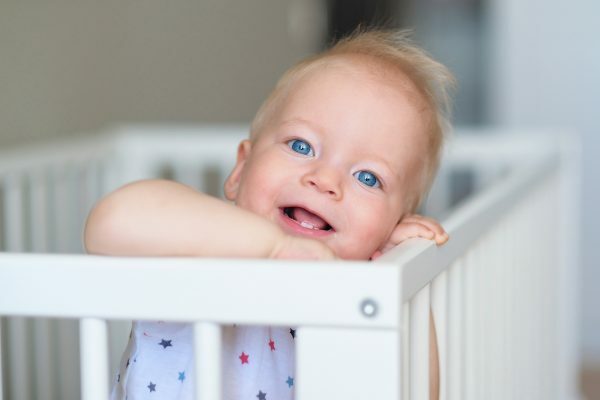 There are plenty of parents that will tell you the only crib they will consider when purchasing a baby crib is a convertible crib, and it really isn’t difficult to see why. Depending on the type of crib you buy, a convertible crib has the potential to follow your child throughout the years making them excellent value for money. Plus, with the advantage of being adaptable to your child, the crib isn’t restricted for use by one child. So is a convertible crib right for you? Read the information below as well as the best convertible crib reviews and find out. This really isn’t the easiest question to answer as convertible cribs can differ, but they do share some common characteristics over traditional cribs and other types such as portable cribs. The main advantage that the best convertible cribs offer parents are the ability to transform from a standard infant crib into a toddler bed and back again. The parents that will value this the most are the ones that don’t want to purchase an additional bed anytime in the near future. Some convertible cribs can go even further than this. You can find a convertible crib with changing table and many have the potential to transform into a day bed and even a fully sized double bed! Baby convertible cribs also offer an advantage for parents planning to have another baby in the future. Note that a convertible crib is designed to remain stationary, but you can find top convertible cribs on wheels to make it slightly more portable. How does do convertible cribs work? Convertible cribs really depend on just how ‘convertible’ the crib really is! Obviously, there is a huge difference between a 3-in-1 and 7-in-1 convertible crib, but not always in the way you may think. Here’s the what the main type of convertible cribs can offer you. I’ve only listed the variations relevant to this list – but note that there certainly are more out there! Also note that these do differ among manufactures, but the vast majority follow these standards. The most common convertible common you’ll find is a 3-in-1. What makes it 3-in-1 is the that it starts as a baby crib convertible to toddler bed. It can then be converted again into a day bed. These are the most affordable convertible cribs as it’s easy to find 3-in-1 convertible cribs cheap, and most parents find that the best convertible crib for them is a 3-in-1. The next option is a 4-in-1 convertible crib. These are better options for long term use as compared to 3-in-1 convertible cribs as in addition to converting from a crib to a toddler bed and day bed, they can also be converted to a full sized bed. Many of the baby bed convertible cribs are stable and even allow adults and teens to sleep in them – meaning they can last for quite some time. A 7-in-1 convertible crib requires you to stretch your imagination a bit! In addition to the above, they are can be transformed into different bed variations, such as single and double. Some can even be converted from a mini bassinet. These make can make some of the best convertible beds as they are huge. Will I need to purchase attachments? Something that is definitely worth noting, particularly for the parents looking at convertible cribs as a cost-cutting measure, is that almost always you’ll need to purchase addition attachments/hardware to be able to fully convert the crib to a bed. Now I say nearly because there are some brands that offer these as standard, but these cribs can be limited. Overall this makes even the best rated convertible cribs convertible crib less of a cost-cutting measure and more one of convenience. However, even though they require additional parts, they aren’t hard to put together and if you only have one child, the ability for a single piece of furniture as important as the place their sleep to follow you through the years is worth any additional cost. 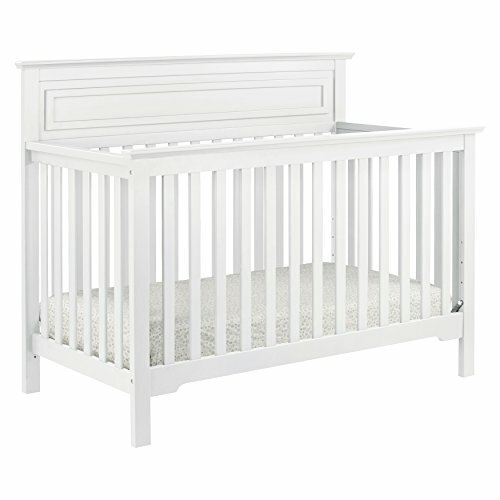 The first in my list is the Graco Lauren Convertible Crib. This graco convertible crib has a beautiful design with bold colors and several of them to choose from (including cherry which I’m in love with!). Looks are one thing, but the crib also has guts! Suitable from birth and with the ability for the adjustable the be height adjusted mattress, this crib converts as a 4- in-one to a a daybed, toddler bed with no guard rail (which means you don’t need attachments) and a full sized bed. The full sized bed does require you to purchase the correct attachments. The crib is pretty deep, which is great for safety but annoying for us short parents. However its cost effective and easy to assemble, plus I think it’s safe to say – it looks great! You can see the latest prices by clicking here. 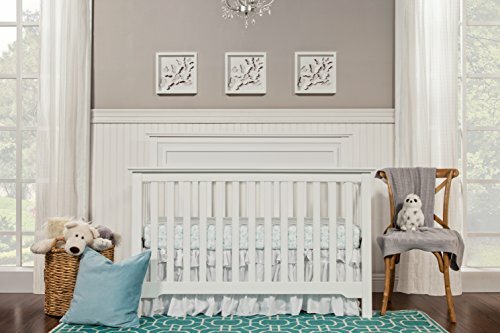 With a few extras parents will love the Stork Craft Portofino is the best being a convertible crib with storage this is the best 4 in 1 convertible crib with storage I’ve seen! The crib has the ability to convert straight to a day bed. The mattress can be adjusted in three different positions and the frame is made entirely of toxic free materials. The crib has a real classic and solid look which I love. What a lot of parents will appreciate is the addition of a changing table which can also be used as a nightstand. This is super handy to have all in one station and means it save even more space! However it does create quite a heavy crib. The crib even includes a mattress pad – another extra to be appreciated! DaVinci have more than established themselves and no doubt you’ll hear their name if you’re looking for a great convertible crib. 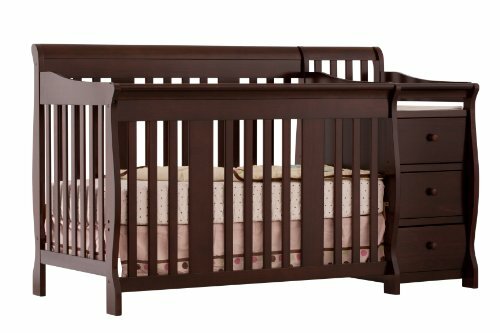 The Autumn 4-in-1 convertible crib looks great, that much is clear, but it also offers some great features. 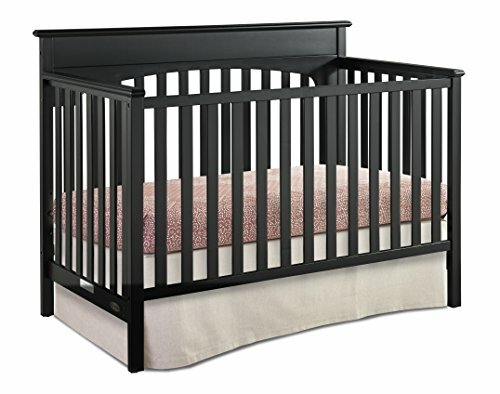 Unlike many convertible cribs, this crib has 4 different levels of adjustable for the mattress for the adjustment for the mattress. As this is 4-in-1 the crib can be converted into a full sized day, and yes an adult can use it! It has a huge weight limit of up to 500 lbs. The bed is really comfortable and stable but of course you need the right mattress. There are also some great accessories you can get for this crib, the night stand being one of them. 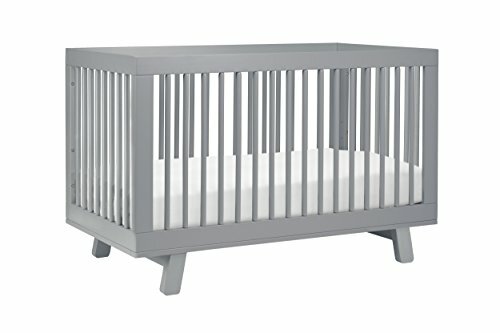 With four different styles, I particularly like this as a grey convertible crib. 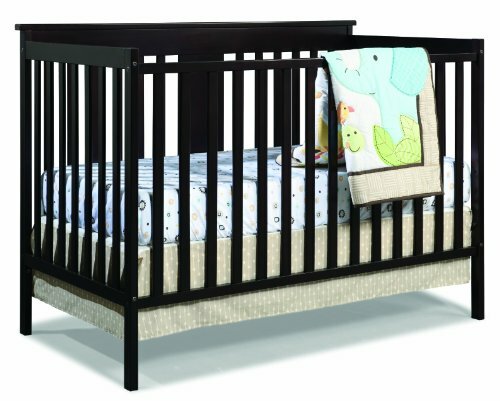 The Stork Craft convertible crib has quite a striking design. It’s only simple, but sometimes this works and I think it looks great! As a cheap convertible crib many parents worry about what will be sacrificed. This crib is made of pine and non toxic materials so you don’t have to worry about it being unsafe but there are some things that parents don’t enjoy. The mattress sits on metal springs which some parents don’t like. It also isn’t as sturdy as it should be for toddlers, but this is made better by using the suitable conversion kit. 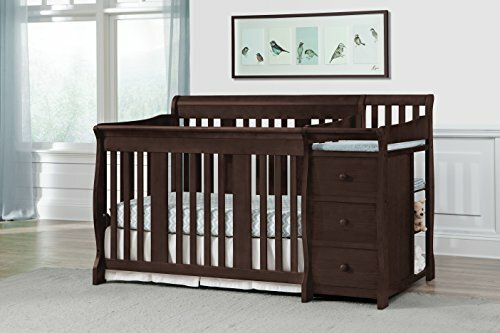 I think the crib is pretty solid, and you have to appreciate that at this price range it can even be transformed into a full size bed! It’s really cheap for what it offers. If you need convincing that affordable convertible cribs do exist you only need to look at the Union 3-in-1 convertible crib. This is proof that you don’t have to sacrifice much to get a cheap convertible crib. It’s still offers 3 ways to position it and meets all necessary certification standards. The mattress surface can be adjusted to 4 different positions. This is more than others but they a little less pronounced. The crib looks simple but it does have great color. The yellow and blue are particularly cute and soft. 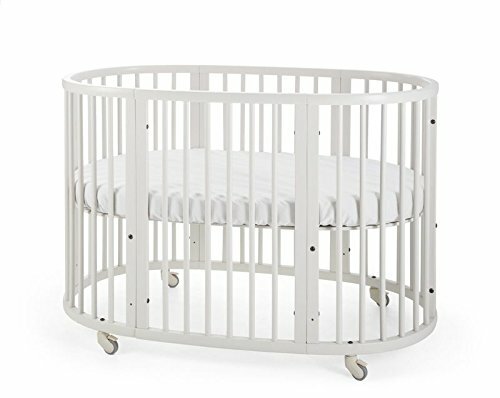 The crib fits the main requirements – it’s sturdy and strong and I have to say it again, it is impressively affordable offering proof that cheap convertible cribs can be great. The next of the top rated convertible cribs is from Dream on Me. Taking on a more traditional appearance the Dream On Me Violet is a hugely adaptable 7-in-1 convertible crib – one of the few out there! Firstly, aesthetically the crib looks great. It followers a more contemporary style and is available in several colors to help you find a style suitable for you. Now although it is a 7-in-1 convertible crib, doesn’t necessarily have more uses. Rather, it has more ways to use it. As a crib the mattress can be positioned in 4 different ways. As a bed, there are several different variations – you can use it as a toddler bed, day bed, youth bed and full sized bed. 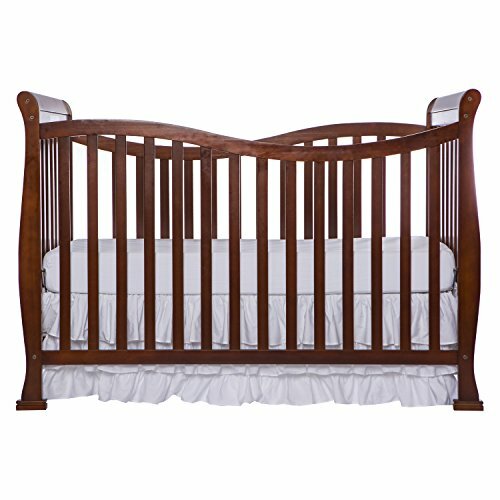 This is one of the best convertible crib beds you can purchase, and want something that will last well into the future, this is one to look at. The Stokke Sleepi is one of the more unique convertible cribs on this list. A circular design this crib can be positioned into 4 different levels. The curved sides give it style. It doesn’t need to be placed next to a wall to look good and it can easily be placed in the center of the room! It also fits through a doorway easily – its on wheels which make it even more easy. Hugely convertible it starts as a mini bassinet and can be converted into a to a toddler bed and junior bed (the kits are sold separately). Now some parents have had issues with it not being overly sturdy. It’s important to remember that anything on wheels must be set into place! Other parents have used it for years with no trouble. 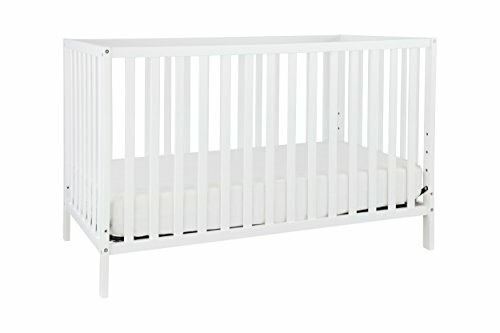 The crib comes in both a darker and lighter wood, and also comes in white which looks great. When it comes to best convertible baby cribs they generally look pretty similar – but I have to say I love the design of this crib. It’s just so trendy and looks modern and stylish. Thankfully not only does it look great, it IS great! This convertible can be transformed from a crib to a toddler bed and day bed. The toddler bed even includes a rail to add to the safety profile. This is also one of the rare convertible cribs that also includes the adapters! If you want an all in one stylish system this is the one to go for. Although it is sturdy some parents have complained about chipping paint! Unfortunately this is the reality of a lot of cribs. At least this one is GREENGUARD gold certified. For both boys and girls the Babyletto convertible crib is a great option. Being GREENGUARD certified offers some peace of mind from the beginning and the DaVinci Jenny is popular because it is affordable for what it offers. It does a great job of providing value for money. The crib is super easy to move as there are four wheels on each side. You can adjust the convertible from from a crib to a toddler bed and day bed and there is a great range of accessories to choose from to compliment this. It also comes in six colors – there are even some more funky ones in there are opposed to the neutral ones we are used to seeing. With a vintage looks its both cost effective and trendy. Plus most have found it easy to put together, just remember to purchase the adapter kit! What do you think about the convertible cribs listed above? 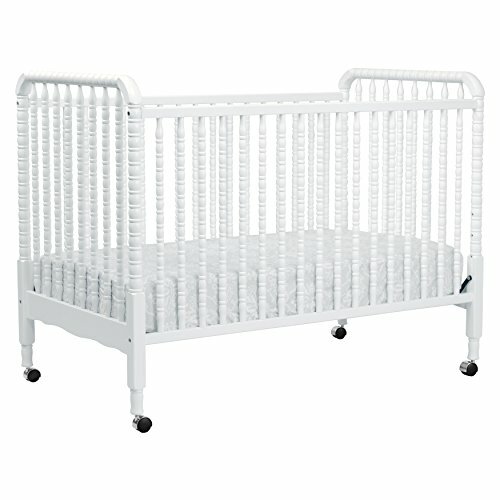 Do you have any experience with convertible cribs? Let me know in the comments!